is a sensational new luxury boutique hotel in the heart of Kemptown, Brighton. The hotel offers designer living in a traditional setting and the recent refurbishment has transformed the 200 year old building into a stylish and modern hotel with a reassuringly classic ambience. Each room in the elegantly refurbished historic building has been thoughtfully designed to provide all our guests with the most comfortable and restful hotel VIP experience. Our inspirational interior designers have created a delightful and luxurious look and feel, enhanced by ethereal and original artworks in every room. The Directors of The Shore Group established the company after working for some of the UK's largest construction recruitment organisations. They have gained extensive experience of working within the industry and have built up a broad range of contacts and forged excellent relationships. We understand the importance of providing quality staff to clients, and pride ourselves on a stringent and thorough screening process for candidates. This allows us to guarantee the quality of staff supplied to our clients, provide referenced and qualified operatives, whenever our clients' requirements arise. The Directors have a strong belief that our clients should be able to liaise with them personally to resolve any queries effectively and quickly, regardless of size. We welcome the opportunity to work with new clients to show that The Shore Group can make a real difference to your organisation and works differently from our competition. Aberdeen Steak House is one of Brighton’s oldest and most-well known Steak Restaurants, offering a warm, friendly atmosphere with delicious food, just like mama used to make. The Restaurant is centrally located in Preston Street, right in the heart of Brighton’s restaurant district, not far from the shopping centre and Brighton Seafront. Parking is easy. On-street parking and an underground car park is one street away. We have designed Ameliore Beauty around you. Our clients have been the inspiration of the foundations for Ameliore Beauty. Everyone is beautiful, and Ameliore add defining characteristics to every woman. We continually strive to be the best at what we do offering only the best products, trusted brands, and a standard of excellence delivered to you. As Beauty Therapists, we value our professionalism at all times, all our team are fully qualified, insured, competent, and trained the 'Ameliore way' to deliver you quality treatments to the highest standard directly to your door. That means no patchy tans, no nipping of cuticles, and no shabby paint jobs! We're open late & work on weekends so you will never have to go without. We're also the leading Mobile Beauty company because we offer such variety of services so we can reach out to as many people as possible. This is a new approach to the Chilli industry. It offers the best of the UK's as well as the best of the world’s chilli products. Brighton Chilli Shop, at 73 Trafalgar Street in Brighton prides itself in trying to help the UK chilli industry and in trying to offer products that are good for people and good for the environment. I finished my university studies early 2014 and was looking to start a small business in the Brighton area when I came across Chilli Pepper Pete’s chilli shop. I saw an advert about the business being up for sale and got in touch with the owner and decided to go visit the shop one day. I had never noticed the shop before even though I had walked past it numerous times. Is a beautiful Palladian mansion set in the finest East Sussex parkland and a unique backdrop for the most perfect of wedding venues in East Sussex, catering for up to 120 guests. We believe that your wedding day should be truly memorable. During the warmer months, the Coat of Arms lawn features outdoor ceremonies, bathed in sunshine. It is the perfect start to your magical day. The Orangery overlooking our formal gardens is the perfect venue for your wedding breakfast, after which you can make a grand entrance into the state Ballroom for your evening celebrations. Buxted Park’s state rooms lend themselves to one wedding giving you exclusivity on your wedding day. During the week, Monday to Friday enjoy with our compliments a light lunch or cream tea with cakes for two, before or after we have shown you round the state rooms and suites. When you are ready simply complete our wedding appointment request form and take advantage of our wedding planning service today. Buxted Park hotel in East Sussex is set close to the town of Uckfield and conveniently located near the Ashdown Forest. Offer a fantastic selection of deals on new Range Rover and new Land Rover. Whether you are looking for a new Defender, Freelander, Discovery, Range Rover Sport or even the beautiful new Evoque we are bound to have something to suit. We also stock a wide range of used Land Rover and used Range Rover at our Lewes site. Enable Me is a not-for-profit organisation working in the Community to raise disability awareness and help improve the lives of disabled people. We provide high quality services that are designed and delivered by disabled people. Our services include Education, workshops for schools, Colleges and Youth groups. Training - Disability Awareness Training for businesses and Charities. Outreach with Youth Clubs, After school Clubs, holiday Clubs, workshops for adults as well as Volunteering with training opportunities for Disabled people. Is Brighton’s most accessible Hotel, just on the A23 into Brighton. Here at the Preston Park Hotel we offer the perfect solution for today's business person seeking a central, comfortable and modern hotel with up to date communication facilities at more than reasonable rates. We have 33 comfortable bedrooms with en-suite shower rooms, and a choice of smoking or non smoking rooms. We have Conference facilities and our location makes us a perfect place for a romantic weekend and for couples getting married. Summer is also all about Entertainment at Preston Park Hotel. Five minutes’ drive from the hotel is the famous Devils Dyke, with excellent views, pubs and golf courses. Why not ask reception to book you a golf course? Seattle experience so unique. You’ll find them friendly, personable and never shy with an opinion on where to go in Brighton so please do ask if there is anything you need. Stylish Events are at the forefront of Wedding Fayre events within the South of England and focus on providing a Wedding fayre that will totally appeal to potential brides and grooms by fully meeting and exceeding their expectations. They have a wide range of exhibitors, saving couples time and allowing companies to fully showcase what they can offer. The RED Lounge on the ground floor offers low stakes and fun gaming with a party atmosphere every Friday and Saturday night. Take on the Red casino Challenge, play games, earn points and win prizes. This area also has giant sports screens, and a cocktail lounge It's the perfect place to to eat, drink, chill, party or play! The casino is open daily from 10am to 5am. We operate an open-door policy for customers 18 years and over (you will be asked for ID if you look under 21). Entry to the casino is free. You don't have to be a member to come in but we do offer a Player Rewards loyalty programme where you can earn more return on your play than with any other casino group. CMP Artists is the Home Of Brighton's leading independent record label. We are an expanding artists label, with our own state of the art in-house recording studio. We at CMP are looking for genuine sustainable talent, with an edge, to cut through the existing music industry, and make the ears of Brighton and Hove ,and the world, that bit happier. Our inspiration is the Grand Daddy of independent record labels, Sun Studios, home to, Elvis Presley, Johnny Cash, Roy Orbison and many many more. Families for Children is one of the longest established and most respected fostering agencies in the country and have now been operating successfully for over twenty years with head offices in Worthing, West Sussex. Families for Children LLP continues its top quality service and careful matching remains the priority for the organisation. The original founders still play key roles in the organisation, ensuring the highest standards of support, care and opportunity for children, young people, foster carers and staff. Gap Solutions who have been featured on Channel 4’s “You Deserve this House” are experts at creating exquisite designs and with their enthusiasm for excellent products and service. They are best choices for storage solutions in Brighton & Hove and all over Sussex. They offer a comprehensive range of walk -in wardrobes, room dividers and sloping ceiling solutions. Either as a a standard fit or optional extra, Gap Solutions offer a 'profit opportunity' with an affordable answer to bedroom storage. We also offer a nationwide design and installation service both to developers and purchasers. Light Foot LED was established by Joakim Per Lennart Roth to sell high quality, low energy LED light bulbs and fixtures to the UK market. We are affiliated with Promectum Sweden AB and Svea Ledlight AB; two well established Scandinavian LED lighting suppliers who have successfully demonstrated through their supply to the industrial sector, that LED lights are a practical, financially attractive and environmentally friendly product for use by both businesses and individuals. We have a small workforce of dedicated and friendly staff based at our showroom in Brighton & Hove, East Sussex, all of whom are happy to discuss any questions you might have about our products. dodoworwith and what we do. Light Foot LED has already helped a number of businesses and individuals in the UK reduce their energy consumption and save money through the use of LED lights, including; Arun district council, Ink Bar Brighton (pictured above), Greenpeace, MMC Solutions and G-Star as well as a number of small local businesses. We strongly believe in the products we sell and are keen to spread the word of the benefits of LED however we can. Around the globe, people are switching on to LED- from huge companies like Starbucks, Lexus and Macy's to whole towns, the world is embracing LED as the greenest, most efficient lighting solution. Installing LED lights has a positive impact on the bottom line of every business, big or small, while also lowering personal energy use at home too. Continued technology improvements along with increased production and consumer demand mean that we can supply high quality customised LED Light products at an affordable cost. “The Sussex Festival of Music” will run from 21st - 23rd June at the Brighton and Hove Jobs Sussex County Cricket Ground offers 3 days of musical experiences to suit all tastes. Assisted by Herbie Flowers, many aspects of Jazz and blues will be covered at our Jazz Supper on the Friday and Jazz Brunch on the Sunday including a tribute to “Hot Club de Paris”, the introduction of all strings jazz to the world. This is a company delivering strategy and services in the 5 areas critical to business growth which are Law, Finance, Marketing, Human Resources and IT. Fresh thinking on how businesses can run more smoothly has helped with the creation of Acumen Business Group. The five independent businesses, evolving this new business model and operating as the Group are interested in companies who are serious about growth. They will be targeting small to medium type enterprises with turnover in excess of £1million and being a member of the Group entitles all clients to discounted services provided by the 5 disciplines. Acumen Business Law is a totally different Law firm because they specialise in all aspects of Business Law and advise business clients only. All their legal services are provided for a fixed fee, and there are no hourly rates. You can also have your own Legal Director for a fixed monthly fee. Also legal, finance, marketing, IT and HR are the core services provided by the Acumen Business Group, all under one roof of which Acumen Business Law is a member. All clients of Acumen Business Law are automatically entitled to a discounted rate for all the Group's services. Acumen Business Law services are affordable, accessible, approachable and very able and with a strap line of 'You'd be glad we are on your side', commercial matters of law need not cost you a fortune. Aguavida Hair and Beauty is the newest salon in Hove offering professional hair styling and ultimate beauty treatments in an avant-garde designed space. Aguavida is situated at 58 Church Road, Hove, Brighton and is open 6 days a week. Our professional team never wants you to fall out of love with your hair. At Aguavida we believe hair that looks and feels great is essential to your wellbeing. We always offer exceptional service, confident and caring stylists, and creative hairdressing. Our experienced team specializes in all aspects of cutting and coloring. We offer a free consultation for clients who wish to talk about their styling and coloring requirements. Right now, Gift vouchers available for as little as £5 and upto what ever value you want. Align is a friendly chiropractic clinic in Southwick, which serves the local community and the broader Sussex region. Chiropractic uses specific hands-on techniques called adjustments to help maintain good movement of your spine, which has many positive effects in your body, including pain relief. We take a holistic view of health, so as well as addressing the area of concern we pay attention to the overall wellbeing of your body. The speed you improve depends on how quickly your body is capable of healing, so we sometimes suggest making small but significant changes involving posture, nutrition, or exercise. We also offer massage therapy and exercise advice, and give clear explanations every step of the way. Based on Church Road, Hove, B&O provide arguably the world’s best audio and video systems, plus specialise in Home Automation and Home Cinema solutions. Brewin Dolphin is one of the UK’s largest independent private client investment manager with over £20bn. invested on behalf of 130,000 clients, charities and pension funds from 40 regional offices. Without ties to fund managers, banks or insurance companies, we offer unbiased financial and bespoke investment advice. David Pegler is the Head of Office at Brewin Dolphin Brighton. The Brighton Office of Brewin Dolphin became part of the Group in 2009 although the origins can be traced back to 1955. The current team of highly experienced investment managers have worked together for many years and built a strong reputation for providing a high class professional service. In addition to developing close relationships with many local accountants, solicitors and independent financial advisors, the office is supportive of all local business and a number of events in the South of England. Above all we appreciate our clients are individuals and we treat them as such. We place great emphasis on providing a friendly and professional service where clients are assured unbiased advice that is genuinely tailored to their personal circumstances. Welcome to the Brighton Implant Clinic, centre of excellence for dental implants and cosmetic dentistry located in our modern implant clinic in Central Hove (Brighton) United Kingdom. At Brighton Implant Clinic, we strive to provide the very best in cosmetic dental care. We use the most advanced technology in dentistry today, and the most up to date clinical techniques. Our clinic is a tranquil environment providing dental implants and cosmetic treatments including:- veneers, crowns, bridges, bonding and tooth whitening. For patients traveling a long distance, we can also offer our VIP accommodation package in partnership with some of Brighton's top hotels. With over 7 years experience in the media industry, Seb and Lucas have put Bright-Site at the cutting edge of new media technologies, with emphasis on web design and the marketing aspects of the company plus developing a wide range of skills within business and the industry. Starting out with a background in Film and Digital production, over time they have developed a new approach to the integration of media online. 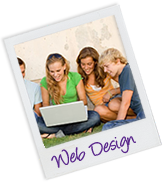 The highly attractive and media rich designs of Bright Site reflect their passion and creativity for the industry. Now their main goal is to maintain a company with a completely fresh approach to how websites are made and delivered, with focus on the client, end-user and effectiveness of the website as a marketing tool. Chestnut Tree House, situated in Poling nr Arundel, West Sussex is the only children’s hospice in Sussex and cares for children and young adults from 0-19 years of age with progressive life-limiting and life-threatening illnesses from all over the county. Completed in 2003, the hospice provides a ‘home from home’ environment with 10 children’s bedrooms plus 8 family rooms, a wet and dry play area, computer and music rooms, a multi sensory room and hydrotherapy pool. The house is set in beautiful gardens within an area of outstanding natural beauty. There are potentially 400 families with life-limited children in Sussex. Chestnut Tree House offers support for the whole family including psychological support, care in bereavement therapy, end of life and respite care and sibling support. It costs approximately £2 million per year to provide our care services. Families are not charged for their care and the hospice receives hardly any government funding at all, so it relies completely on the generosity, help and support of the people of Sussex. The Conciair Heritage Group is formed as part of Conciair Ltd which has a commitment to maintain pre 1955 vintage aircraft in full flying condition. First Class efficiency and convenience as you depart at your leisure, travel in comfort and arrive in style. The Mayfair Dove, The Heritage, The Hunter and the Barons are some of the Classic aircrafts that you can fly in from Goodwood Aerodrome, nr Chichester and also from Bournemouth airport. DAY’S ORIENTAL BUFFET RESTAURANT is located at 75-79 East Street, Brighton. Day’s offers more kinds of dishes for the same great price. It’s a wonderful dining experience with the taste and warmth of the Orient hospitality. We encourage the use of your Reward card that offers many rewards. Embroidery Workshop has been embroidering and printing products including workwear, schoolwear, sportswear and much more for over 15 years. Being a family run business we have built up great experience and knowledge in the embroidery and printing business. All our personalisation is carried out in house, which enables us to ensure only the best quality is provided to you in order for you to look your best for your customers. The Felbridge Hotel and Spa has gone from strength to strength since its £5.5 million refurbishment in 2007 and is the joint highest rated black four star hotel in the UK. Located on Church Road, Hove, Fellini’s is named after Federico Fellini, the most celebrated Italian film director, Fellini. The restaurant is a truly authentic Italian trattoria, producing a very modern and up-beat Italian cuisine, welcoming to all, down-to-earth but with a twist. So whether it’s sipping a cappuccino whilst reading the papers, meeting your friends for a quick bite at lunchtime, diving into a bottle of Peroni straight after work or indulging in a truly romantic dinner. Visit www.fellinihove.co.uk for more information and to book a table. Flowers Unlimited in Portland Road, Hove is an Interflora Shop which has indicated that an increasing number of businesses are using flowers to cement client and staff loyalty, which in turn helps to distract us from the everyday stresses and pressures. There is no doubt that flowers can play a significant part in creating a relaxed and positive environment, whilst maintaining an air of professionalism too. At the same time, the team spirit of your colleagues and the quality of their working environment also has a direct impact on the business efficiency. To help reduce stress and increase productivity in the workplace as well as promote wellbeing at home for family and friends, flowers sent for birthdays, anniversaries or in appreciation are specially designed so check out their website www.flowersunlimitedbrighton.co.uk or call 01273 736 949 to make an order. The Pottery House Café is twinned to Flowers Unlimited and is a creative painting workshop with activities for all ages. It is a fun and rewarding place for adults as well as children and while there you can unwind with a cup of coffee while the children use their imagination. The Focus Group is a Sussex based company in Business Telecommunications Solutions with a UK wide dealer network. At the heart of the service is the “One bill option” to save your business, company or organisation money with a range of excellent professional services and free advice. The Focus Group is also a member of the Office of Telecommunications Ombudsman (OTELO), an OFCOM approved body which act to assist in the resolution of disputes between Telecom service providers and their clients. The Arena is the largest private Indoor football venue in the South of England with 4 indoor 5 a side football pitches built with the latest 3G artificial grass and incorporating environmentally friendly technologies. This facility was designed for the current, as well as the future generations of football players. The design of the arena is also environmentally friendly with 91% of the energy to be used coming from local sustainable sources and solar. Keyhole Security, is one of the country’s leading security services company, supplying to both domestic and commercial customers not only in the UK but also internationally trading all over Europe and the United States of America. Security is vital for our safety and Keyhole are specialists in this very wide field. Monk Marketing are experts at supplying and helping to brand companies from all round the UK with promotional items and merchandising products. 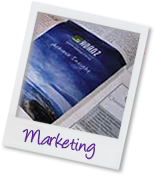 These include incentive gifts, promotional clothing, corporate gifts and promotional giveaways. They source products from all over the world to ensure that product chosen by your company is one that gives you the right image. Monk Marketing are also members of the British Promotional Merchandise Association and so are fully committed to excellent customer care with an enormous selection of promotional items at competitive prices. Moss Rid are roof restoration specialist based in the South East and are UK market leaders in roof restoration. Leo Martino, a native Australian came to the UK 10-years ago to set up Moss Rid T (UK) Ltd, the country's leading roof restoration specialists based throughout South East England. He saw a massive gap in the market and noticed that there were very few companies that dealt specifically in roof maintenance and more specifically total restoration - a common practice in most western countries. Ironically, the UK being a country saturated in old moss ridden buildings was new to the concept when Leo first set up. An established graphic design studio based in Brighton. Over the years they have worked on a broad mix of projects, from holding the hands of young start-ups to rubbing shoulders with established blue chips. Q Leisure is a family run business which specialises in Corporate Entertainment Outdoor Activities. It has been successfully run by the Peacock family for over 10 years, the once derelict site has been transformed over the years to a pioneering activity centre hidden amongst the country side. Based just 6 miles North of the Vibrant City of Brighton and Hove. With a variety of activities available at Qleisure, such as Pro Karting, Quad Biking, 4x4 Off Road Driving, Archery, Target and Clay Pigeon Shooting, Paintball, as well as a mixture of Team Building Games, there is sure to be something to accommodate all tastes. 01273 834403 or check out www.qleisure.co.uk for further details. Quality Solicitors Howlett Clarke in Brighton has become a Founder Partner in Quality Solicitors. This is a nationwide network of over 200 independent law firms committed to providing a better and more user-friendly service to its clients. We remain an independent firm but with the benefit of being under a national banner. Howlett Clarke was established in 1773 and is the oldest Law firm in Brighton. This new chapter in our history puts us at the forefront of the profession and the first solicitors in the area to take positive action to meet the challenges ahead. One of the distinguishing features of Quality Solicitors is the promise to be different with friendly, approachable and plain speaking lawyers who promise no hidden costs, same day response, direct lawyer contact and a first free consultation. Queens Hotel, Brighton is referred to as the grand old lady and is one of the best hotels in Brighton where you are guaranteed a warm welcome from their friendly and professional team. The hotel enjoys fabulous views of the sea and the famous Brighton Pier, with easy access to both the promenade and lanes where you will find the best Brighton has to offer in terms bars, cafes, restaurants, shopping and attractions. Rina Tairo is a Helsinki born jeweller working out of her own gallery in Brighton, East Sussex. Her art has been noticed by the fashionista and her work has been sold in stores such as Liberty’s of London, Barneys of New York as well as stores in Japan and elsewhere round the globe. She’s one of Sotheby’s new designers exhibiting her jewellery in art fairs and craft shows such as Collect at V & A, Art London and many other galleries at home and abroad. All Rina’s work is done by hand using textile methods and tools. Rix & Kay Solicitors LLP, a leading Sussex based law firm with a local and national client base, have this year been recommended in 8 categories in the Legal 500 2009, with the new addition being Sports Law. With offices in Uckfield, Seaford and Heathfield and about 100 staff, the company are one of the top law firms in Sussex, Kent and Surrey section of the Legal 500 2009. The firm is particularly strong in the Commercial and Corporate sector, and this was recognised in Company and Commercial, Commercial Property and Property Litigation for great group reorganisations. Another area that the firm was very highly commended on was in the areas of Family, Tax, Trusts and probate. Situated in Princes Place, just off North Street in Brighton. One of Brighton’s most popular restaurants with a first class dining experience and service. Satachi Trade Exchange is a business trade exchange. By joining a trade exchange a community of businesses can enjoy a mutually beneficial, cost-effective and profitable way of buying essential goods and services - by trading their products in return - without the need to use hard-earned cash.Companies from all sectors and of all sizes are joining SATACHI Trade Exchange because they understand that, by trading their products or services with one another instead of paying cash, they reduce costs and increase profits. Provides Cosmetic Dentistry at its very best in the latest state of the art studio. The Smile Studio offers professional and personal cosmetic surgery under the watchful eyes of Dr Farbod Javad and his team. The studio with its modern technology gives people the ultimate Smile makeover - new teeth, a new smile and new chewing ability. When it comes to appearance, people are judged by the condition of their teeth, which is why the services offered by Shoreham Smile Studio are endless - drill free fillings using a high pressure machine which only removes the weakest part of the tooth using x ray technology. The studio also offers facial rejuvenation and much more. A monthly Brighton lifestyle magazine in which Ambrose writes a regular column, ‘Confidential – Ambrose Harcourt: Nothing Escapes His Attention’. The biggest music talent contest outside of TV's X-Factor, Live & Unsigned UK (formally known as South Coast Idol), is a music talent contest for groups and solo artists that takes the search for unsigned talent to the regions. However it isn't for TV and TV figures, but to find and create the next pop super stars! Open to all unsigned acts to provide a platform for young talent to receive maximum guidance and exposure. St Barnabas is a charity whose aim is to provide high quality specialist palliative care both within the hospice and in the comfort of patients’ homes treating adults with advanced progressive life-limiting illnesses. Patients are never charged for their care. It costs over £3 million each year to run the hospice and only a small part of these costs are state funded. This means that the majority of the money has to be raised through voluntary donations from local communities within the Worthing, Adur and Arun areas. The current hospice building was designed with a lifespan of 25 years but it is now over 35 years old and the building needs more and more work each year. Our nursing team do an incredible job but the building is stopping them providing the care they want to offer. St Barnabas are building a new hospice on a site in Titnore Lane, just half a mile from the current hospice. This will increase the Inpatient beds to 20 and accommodation will be in single en suite rooms to afford our patients greater comfort and dignity. The Day Hospice will be bigger and have private consultation rooms. There will be a private entrance for patients and improved access to the wonderful gardens surrounding the new hospice. The rebuild will cost £13.5 million and already there is £10.5 million in the bank. The aim of our Building a Dream Appeal is to raise the final £3 million in order to achieve the dream of a brand new St Barnabas. Please checkout the Website: www.stbh.org.uk for more information and to make contact. Stylish Events are at the forefront of Wedding Fayre events within the South of England and focus on providing a Wedding fayre that will totally appeal to potential brides and grooms by fully meeting and exceeding their expectations. They have a wide range of exhibitors, saving couples time and allowing companies to fully showcase what they can offer. Please visit www.stylisheventsfayres.com for more details. The Big Lemon runs public bus services and private coach hire services with a fleet of vehicles running on locally sourced recycled waste cooking oil. The oil is collected locally from restaurants, hotels, pub kitchens and workplace canteens and processed in Eastbourne so that it can be used in the buses. The Big Lemon’s public bus services serve the Universities of Brighton and Sussex and the Lewes Road corridor, and the Company’s main aim is to make the service enjoyable, sustainable and affordable. As well as the service buses, The Big Lemon has three coaches which get very busy with school trips, parties, weddings, and many other events. During the summer the Company also runs a festival coach service to many festivals such as Glastonbury, Reading and Bestival, and also gets involved with a lot of local events such as the Brighton Festival and the Brighton Marathon. The Fox Inn, a 16th century pub set in the beautiful village of Bucks Green, West Sussex, has become renowned for it's ' Famous for Fish!' slogan and lives up to this effortlessly with it's extensive menu of seafood. The menu boasts an excellent selection of fish and shellfish; starters include rock oysters, New Zealand Greenlip mussel's gratineed with parmesan & garlic butter, mango crab & prawn salad, tiger prawns and seafood pancakes with crab, cod and prawns served with a lobster sauce. Jonathan & Vanessa Pendry took over The Nevill, Nevill Road, Hove in March 2010 and have since refurbished it at cost of £160,000. The Nevill is part of the Spiritpubs Sussex owned by Jonathan Pendry - the concept installed into the pub is pub & pizza which will be rolled out to future pubs. The main objective and selling point for the group is to offer a family environment. The Nevill offers fun-days, barbecues, and support several charities like the Martlets, Rotary Hove Lions and recently did fund-raising for two local customers on a parachute jump for the Martlets Hospice, and also printed tee-shirts for local people who were doing the London to Brighton bike ride for the British Heart Foundation. The new open planned restaurant launched in August 2011 and offers the finest ingredients at affordable prices. The Young Zulu Warriors are a young group of Zulu singers and dancers from South Africa who formed in 2000 out of the charity God’s Golden Acre, which cares for orphaned and abandoned children and families in Kwa Zulu Natal, an area stricken by poverty and HIV/AIDS.